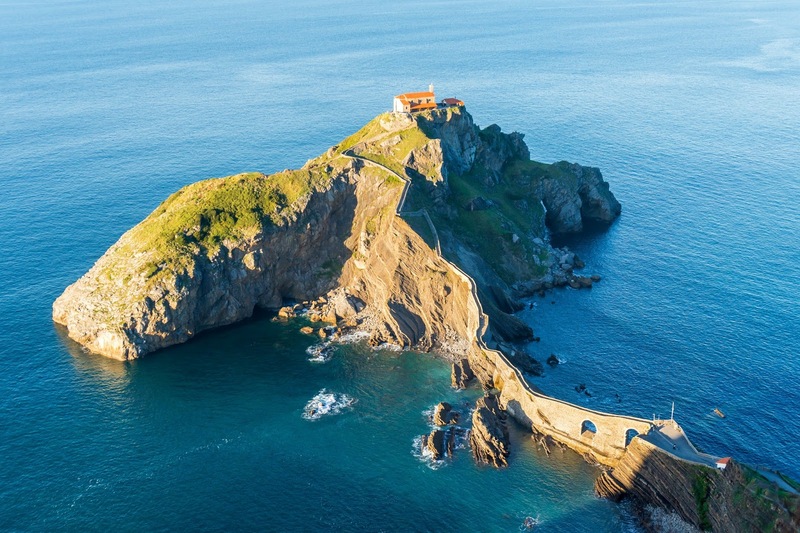 One of the must places to visit in Basque Country, Spain, is the San Juan de Gaztelugatxe. The name means "castle rock" which describes this place well. Gaztelugatxe is a cone-shaped island located just off the shore along the Bay of Biscay, 35 km east from the city of Bilbao. 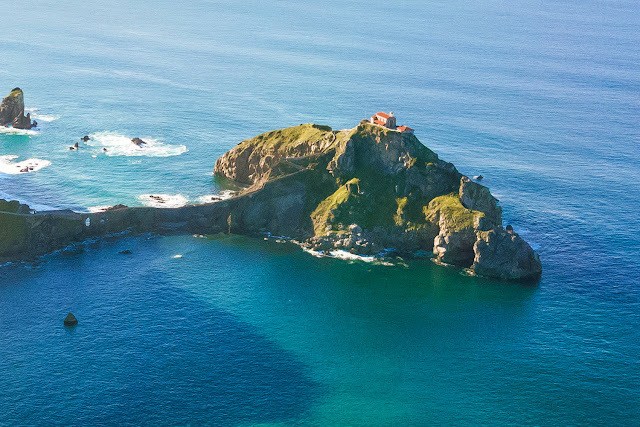 Gaztelugatxe is connected to the mainland by a man-made stone bridge. The bridge transitions into a narrow path that contains 241 steps and zigzags its way back and forth to the top. On the highest point of the island is a small church dedicated to John the Baptist.